Hooray! I made it into IFB's Links a la Mode for the second time, and I'm very pleased to be in such good company for this week's roundup. Plus, the picture from my featured post (a shot of magazines taken in a shop in Newtown, Sydney) has been included in the images at the top of the page! Thanks very much to Collette who chose to include my post on which magazines to buy each month, and congrats to all the other bloggers who made it. Even though January is one brutal cold month in Michigan, it happens to be one of my favorites. It’s a brand New Year.....it’s the opportunity for each and every one of us to start with a fresh clean slate. What will you be taking on this year? A new hobby? Losing weight? Starting your own business? Bettering your blog? The ideas are only limited by your imagination, and I for one, cannot wait to begin this new adventure. This weeks links are chock full of awesome DIY ideas, product reviews, and ways to make yourself smile! Have a fabulous month everyone! 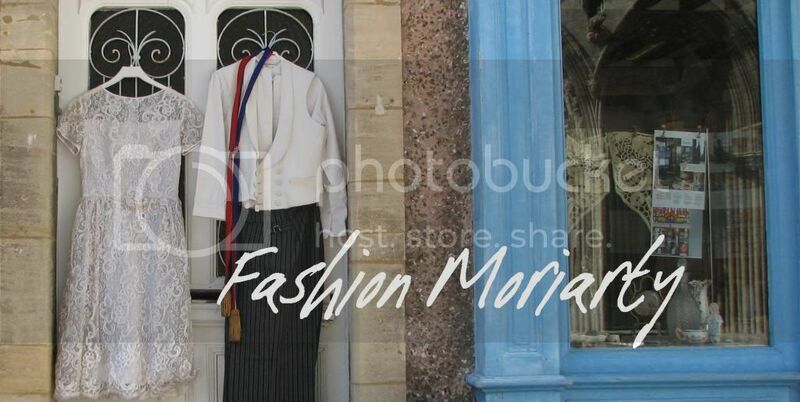 Fashion Moriarty: If you only buy 12 magazines this year <--- That's me! Congrats on making the list! I'm a big magazine fanatic myself, so that post spoke to me!